Price is $250 per organization, includes a display table. Adjudicators fee is $45 additional for each seat in the audition room for Colleges, Universities, and Conservatories – includes light breakfast and lunch. You may enroll an unlimited number of staff under the organizational fee. This is a change in the fee structure from the past. Make sure to select Vendor and Adjudicator. Registration is open from September 1 to November 10. As an adult you can register after that date and even at the door of the event. 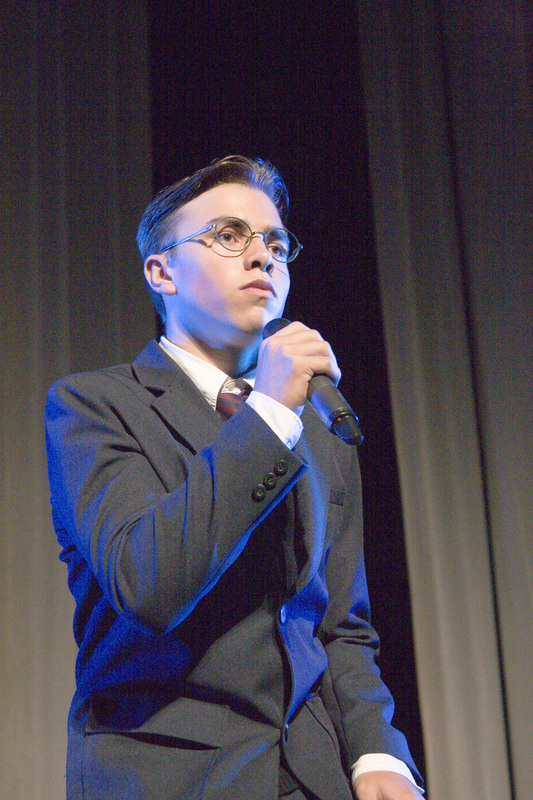 Please contact info@cothespians.com if this is the case for you. The following are the steps for the registration process. Please click on the “Universities/Vendors” in the upper right hand corner of the screen. Register for the conference. You will be sent a confirmation link once you complete the registration steps. If you do not see this confirmation link, please check your junk/spam folder. Previously registered. Please enter your email and password to access your account. If you are unaware of your account or cannot remember your password, please email info@cothespians.com. The first screen you come to will request which roles you or members of your organization desire to perform at the conference. Available conference roles include: University Scholarship Auditions – Participating in the college scholarship audition sessions. If you desire to add an additional adjudicator in the room, the fee is $45 for each adjudicator. This registration includes a display table. Vendor/Exhibitor – Selling a product or demonstrating a product at conference. This slot is offered only to businesses, this is not a selection for Colleges, Universities, or Conservatories. Fill in the profile of the main contact for your organization. This person should be attending Thescon. The more information you provide, the richer your bio appears on the web site. After you save your main profile you will be brought to the registration page. At the top of the page you will see: Register and Past Editions. Under the Register tab you will add all of the other staff members attending with you. Everyone entering the convention center must be registered. Please do not tell others to attend without adding them to your account, they will not be admitted due to security and insurance. We have created a new window to view students that are auditioning. Carolyn Warner, the audition coordinator will send you a URL link the week of Thescon, which will be your view of the students that are auditioning. The link will share the students head shot, resume, and other information. The link will be kept live for your reference for a period of about 30 days. If you need to add additional adjudicators, the fee is maintained at $45 for each additional adjudicator. Food Service: There will be morning refreshments in the audition room provided by Hyatt Regency, such as coffee and pastries. Lunch will also be served. The auditions are a full day event, beginning at 8:15 a.m. on Friday, and ending at approximately 5:00 p.m. Accessibility: Please bring a laptop or other suitable device with Wi-Fi capability to access the student applications online. One week prior to the event you will be sent a URL link to connect to the audition list. Every organization that registers, will receive one table and two chairs in the main concourse of the Colorado Convention Center. Tables are assigned by Board member Andy Jaramillo. The convention center does have charges for electricity, which will be present on your table and they will bill you directly for that service. Please note additional tables are charged through the convention center. Set-up for your table can take place Thursday evening between 5-7 p.m., or Friday morning at 7:00 a.m. Although security is provided, it is not advisable to leave expensive valuables in plain sight when the booth is unattended. 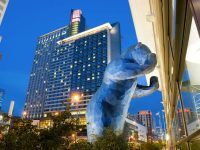 Colorado Thespians and the Colorado Convention Center is not responsible for any lost or stolen materials and property. Presenters are always welcome to email the workshop Coordinator at any time, contact: Mr. Andre Rodriguez, ARodriguez@dcpa.org. 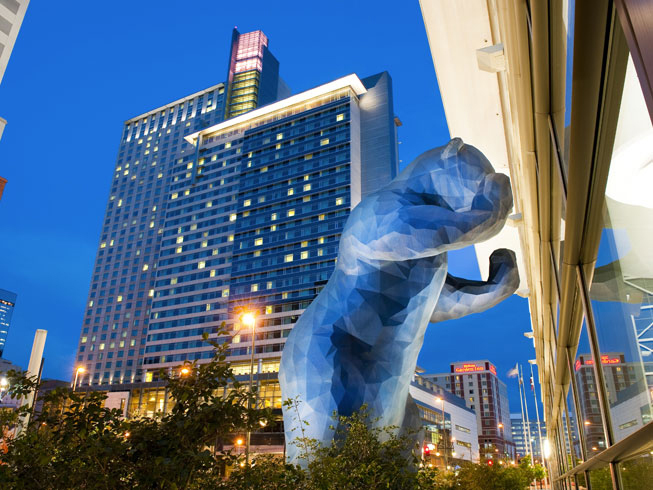 Please check here for the list of hotel properties in Denver that are extending a special rate for Thescon. Hyatt Regency is the main host hotel, with floors dedicated for adults. Make sure you ask for the Colorado Thespian rate, and identify that you are an adult attendee without students and would like to be on the upper floors away from students. This is our most convenient property, and is located directly across the street from the conference venue. The Hyatt Regency also hosts the auditions on their property in the Hyatt Regency ballrooms. Denver now has the A Line train from the airport to Union Station for $9. This is a 28 minute ride to the city center. You catch the A train at the Transit Center, below the Westin hotel on the south end of the terminal. Once you arrive in Union Station you can take the free 16th Street Mall Shuttle to California Street, just walk one block west to 16th street. The Hyatt is located on 15th Street and California, just another one block walk. You will not need a car to get around the city. If you elect to visit outside of Denver you may want to rent a car or use Uber. Uber rates from the airport are about $35+, and Taxi rates are $45+. Non-profit 501-3c Organization, FEIN# 56-2393274 Please see our About page.